I'm kicking off a W.I.L.F Campaign in 2018 and I want you to join me! First of all, what's a W.I.L.F? 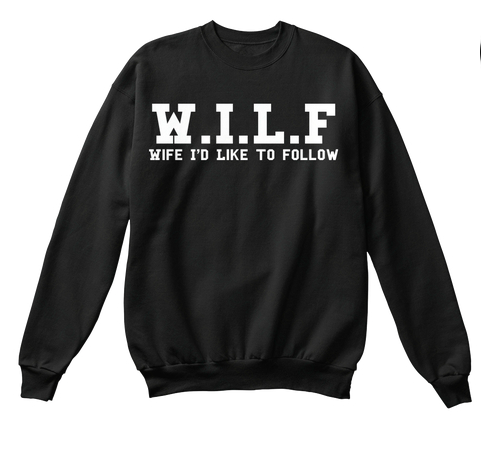 W.I.L.F is a Wife I'd Like to Follow. As millennial wives, social media is pretty much a part of our lifestyle weather it be sharing photos of our families, sharing our journey to our dream career, giving fashion and lifestyle tips, or just sharing positive vibes. A W.I.L.F to me is a wife who is relatable yet inspiring, taking care of business, taking care of herself, and taking care of home. If you think you fit that description, join the movement by getting your shirt today! Click a shirt below to check out other color options and to BUY NOW!